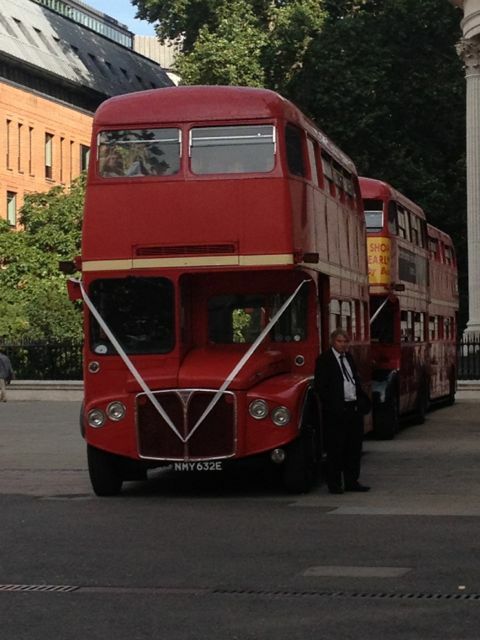 Here are some more pics from London – this time, less of the touristy postcards & more of the EverydaySparks. Firstly, Wimpy Bar. 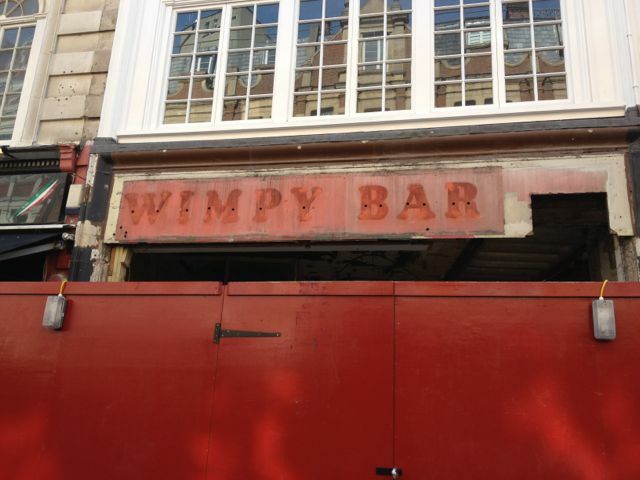 I thought the name was funny and there was a certain sense of irony that the wimpy bar had closed. Then a man sidled up to me while I was taking the photo and said that the Wimpy Bar used to be the McDonald’s of London, back in the day. (The day before McDonald’s, presumably.) He said there were still a few Wimpy Bars around the UK, but most had closed as they couldn’t keep up with the bigger burger chains. I nodded and smiled at him, because in my experience it’s a fine line between a helpful stranger and a crazed lunatic. He must have sensed my disbelief as he grabbed his jumper where there was some sort of logo and said, “I’m a tourist guide with [somewhere]”. Oh, alrighty then, must be true – thanks Wimpy trivia man. It was actually Fashion Week in London and we passed quite a few wacky looking outfits, but I’m not sure if they were fashionistas or just crazy loons. 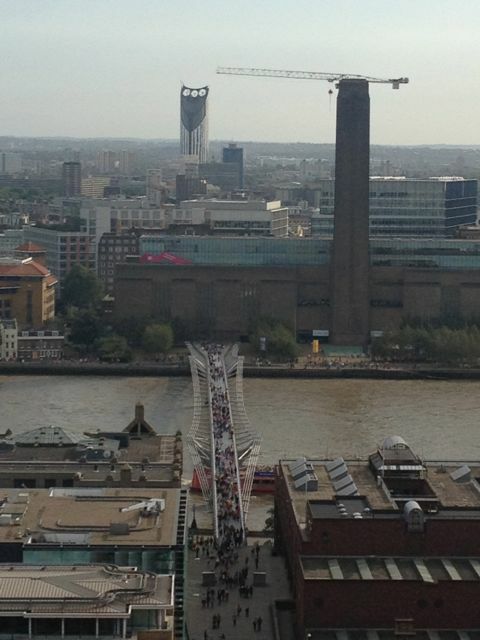 I think this lady with her incredibly bright pink hair was just a London local going about her business on a sunny day. You go, girl. 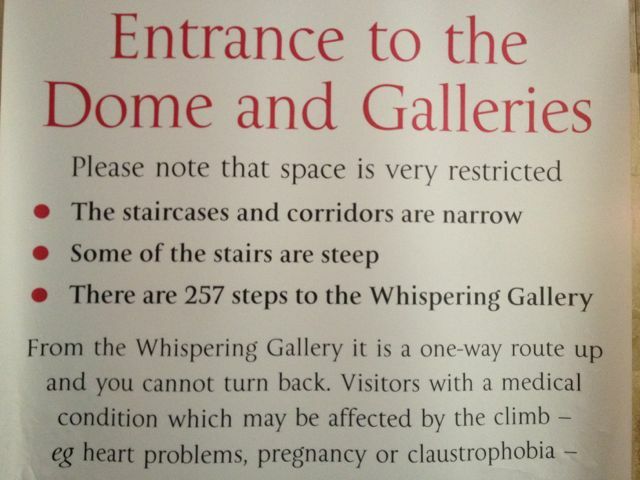 And just a tip – if you’re going to St Paul’s Cathedral, pay heed to the signs that warn you about the climb to the viewing spots. Even though I didn’t wear my trusty running shoes The Pinkies, I thought I’d be fine to climb up the stairs to reach the top…but it was hard going and we decided that 2/3 of the way to the top would be fine for this visit. Here’s a photo of the view from there – feel free to use it to show your friends and relatives to save yourself the climb. 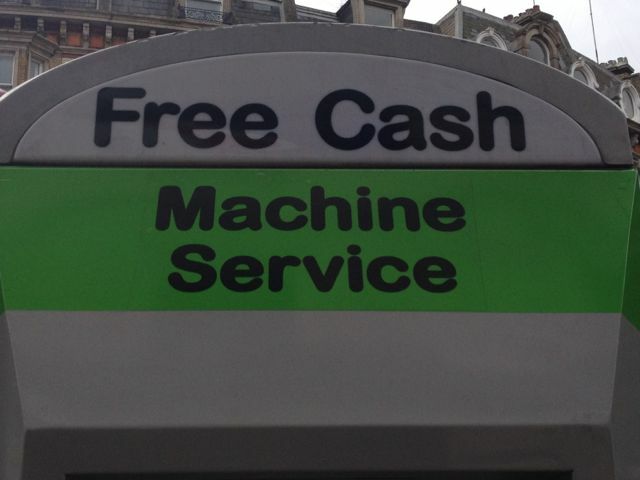 And finally, if you’re in London and you see these machines, don’t believe them – they’re quite misleading.